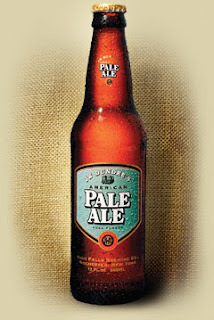 JW's Pale Ale is a reddish ale which is poured with a blustering head. JW's Pale is malted heavily. If Bass Ale is a silky smooth ale, the JW comes on more aggressively attacking your palette with hops and malt. Their Ale name is the only thing that makes the two beers comparable. The JW has an edge and will hold up better in a keg it seems as every now and then you can get a flattish feel to a Bass. The Pale Ale has an ABV of 5.3% and gets ranked the same as Bass at a 3.0, but these two are different animals.